We waited anxiously to meet all of our service participants. 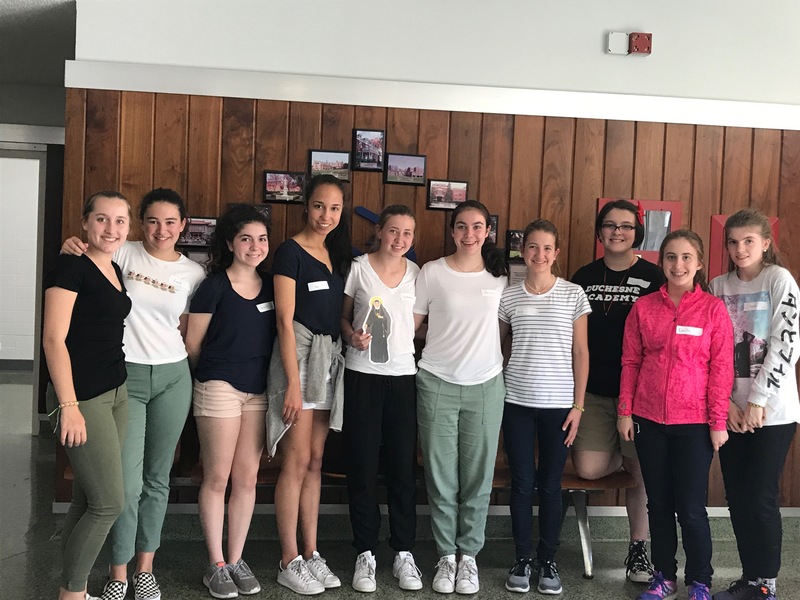 Once everyone arrived, we brought them to Josephinum Academy of the Sacred Heart, where they dropped their bags and finally got to have lunch. After taking some time to unpack and get settled we all met up in the garden. The girls introduced themselves and got to meet flat Philippine Duchesne. 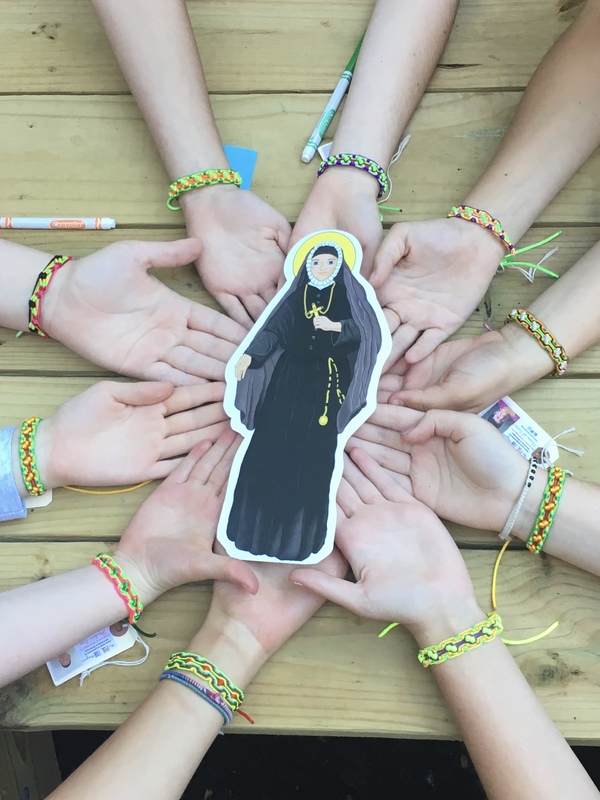 The entire Sacred Heart Network is celebrating the 200th anniversary of Philippine's arrival in North America and the beginning of Sacred Heart schools in the U.S., so we are excited to spend our week with flat Philippine. The girls then toured the school and we met for reflection. The girls will be journaling all week about their experiences. One of the chaperones, Sister Carol, asked the girls to think about the "Buds, thorns, and roses" of their day. The buds are anything they experience that is new to them, emotionally, or experientially. Thorns are anything in the day that they found hard to navigate. Roses are blessings or anything that made you happy throughout the day. As a group we prepared a yummy taco dinner with homemade guacamole, which was a big hit! The day ended with games and laughter as the girls get to know each other. We have girls from six different Sacred Heart schools from the US and Canada so there is a lot to learn from each other! Looking forward to sharing this week's journey with all of you!